by Niall Douglas. Last updated 2011-05-18 21:50:00 +0000 UTC . This page has been accessed 18 times since the 26th March 2019. Wednesday 18th May 2011: 9.50pm. Last entry I mentioned that I was going to review some "custom" or "bespoke" clothing which really is "Made to Measure", or "MTM" clothing because custom/bespoke is when the tailor performs multiple fittings on you personally (and of course charges for it). I actually got into the idea because of the lack of affordable quality shirts for potential work/interviews, and because the great trouble with my body shape is that I'm still fairly slim and all the reasonably priced shirts you see in the stores are way, way too baggy for me. 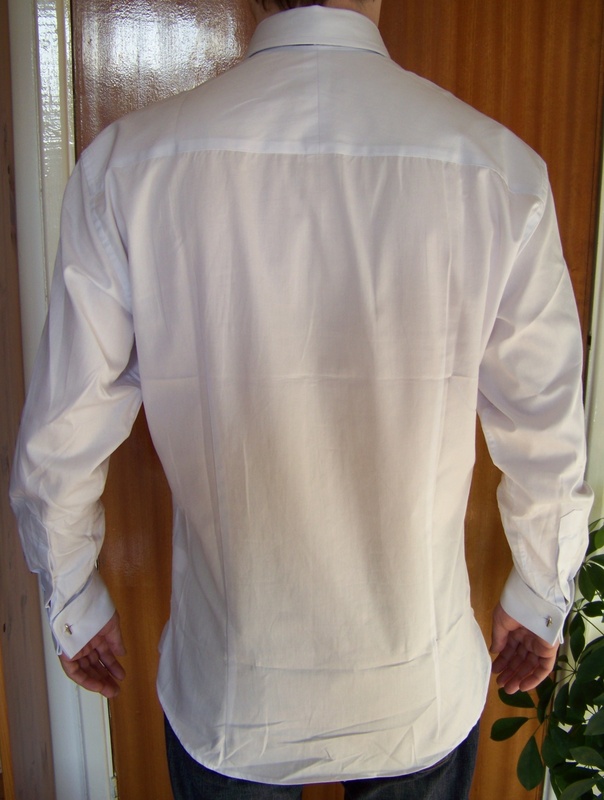 Now, if you're willing to go past €50 a shirt you can get a "Euro Slim Fit", and if you're willing to enter the €80 price range you can get a decent fitting shirt made from quality material that looks good. Anything less has shoddy quality, or doesn't fit with folds of excess material, or more usually is both. Another thing which you can never find is a shirt with a decent length, they're too short so they keep coming out of your trousers during the day which makes you look like you're a teenager still in school or something. Anyway, in trying to find a more affordable alternative I found itailor.com which is one of many places on the internet which delivers straight from the factory i.e. cuts out the importer, distributor and the shop you buy it in. This reduces the price to just over £20 as they do charge delivery in addition to the front quoted price. Moreover, you get to choose exactly what you want including precise dimensions, thread and material colouring, detail, collars, cuffs and so on. If you want a longer shirt, no problem. If you want a monogram on the shirt, also no problem. itailor.com I believe are based in Thailand where a lot of the clothes sold by places like Savile Row are made to order anyway. So far so good! So I get Megan to take my measurements according to the pretty good instructions on their site and order a single test shirt. They usefully send emails telling you when it's being made, when it's dispatched and so on - good! About six weeks after dispatch it arrives, and it looks as you can see on the right. That was literally straight out of the packet, as you can surely tell as it hasn't been ironed. So what do I think of the result? Below are how the shirt looks from the front, side and back. As you can see, I took french cuffs and pleats along the back. So, big difference then - the shirt actually fits me around the middle. It's unfortunate it isn't ironed and I'm not wearing a proper pair of pants because it definitely looks pretty good too - and considerably better than your typical white dress shirt. And what about the quality? If you click on the profile of the cuff on the left you should see the material up close. It's a sort of denim like weave, except that the lines are much finer than with denim. Certainly feels strong, if a little on the thick side, and appears to me like it ought to wear well. Wrinkle-wise, it comes out real nice from a hot iron, but it certainly wrinkles around the arm and elbows during the day. As you can see, the embroidered initials are rather an ostentatious size which apparently is the norm for the domestic market in Thailand. I'd strongly recommend you use the mildest colour for the thread that they offer - on the left I used lightly grey, and that isn't too obvious. With the second batch I used dark blue, and they're very obvious - and I'd say too much so for Western tastes where we'd be thinking two millimetres high or so rather than the best part of a centimetre. In terms of the cuff and collar material, the first shirt I got appeared to have no bonding at (i.e. 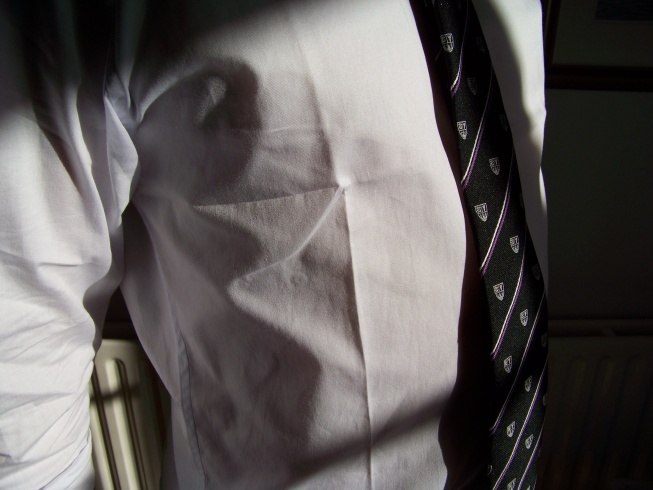 it wasn't stiffer around the cuffs and collar, it was just two unglued bits of cloth). Being pleased with the first shirt, I ordered another four to make up a full week of work shirts. 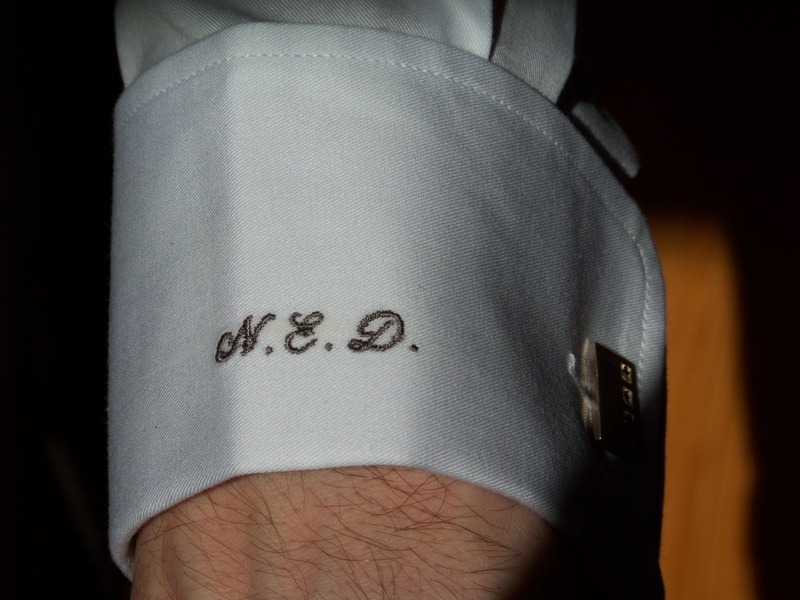 The second batch were identical to the first apart from some minor changes to the dimensions and the blue threaded initials - however, these were bonded at the cuffs and collar. 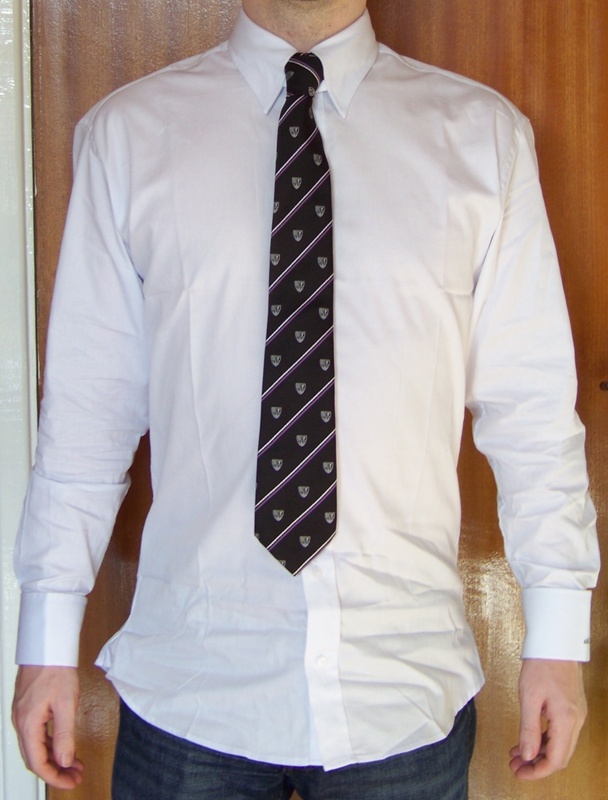 Whether the bonding makes much difference to the look I don't know - it certainly helps when tying the tie anyway, and for that alone when you're half asleep in the morning it's worth it. So, me personally, I'm pleased with them. Definitely the best shirt I've ever owned at any price, and I'd recommend itailor.com to others. However, considering that Savile Row will now do you one of theirs for the same price, and the six week wait for delivery from itailor.com, it's a much tougher choice. On balance, especially given the superb glove-like fit, I'd actually plump for itailor.com over Savile Row, though if I thought that I might gain weight in the next few years I would choose differently. The next thing I tried was a MTM suit, this time from India. That didn't go so well, but I'll leave that to the next entry. Be happy!